I started my Christmas shopping over the weekend. Black Friday shopping is always a seasonal right of passage for me and my mom and sisters, but by the time we get to the mall, everything is picked over and the sales are pretty average. A couple of the stores I went into already had sales going on and I was able to get some pretty decent deals. 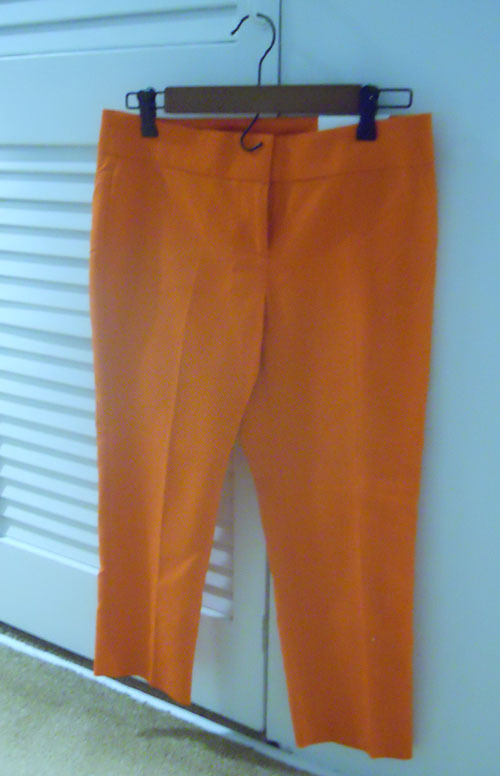 One such deal was the purchase of these orange cropped pants on final sale for $14.88 at the Loft. At first, I was skeptical about buying orange pants, but then I realized there would never be another better opportunity for me to buy orange pants. I quickly did a search on Pinterest when I got home to make sure I wasn’t crazy and found some great outfit inspiration seen above. 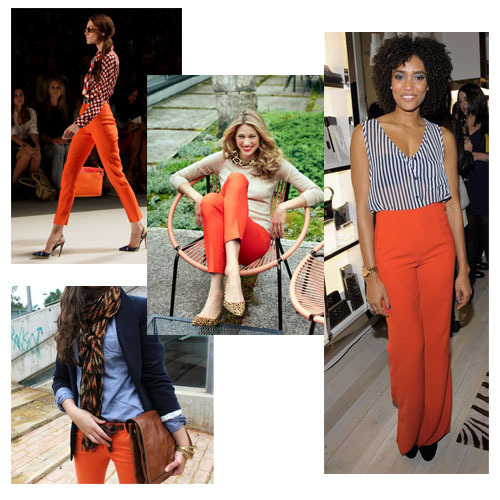 Orange pants in question below.